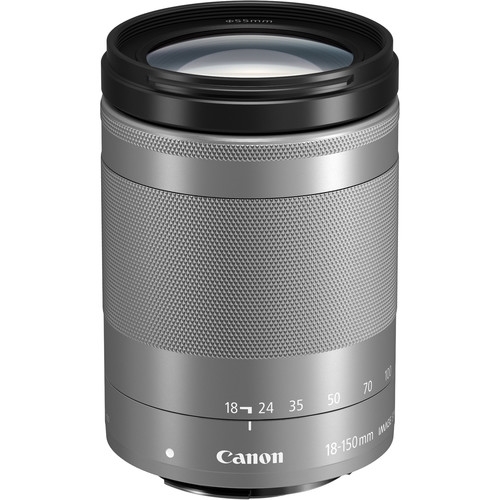 Covering wide-angle to telephoto focal lengths, the graphite EF-M 18-150mm f/3.5-6.3 IS STM from Canon is an 8.3x zoom designed for EF-M-mount mirrorless cameras, where it provides a 28.8-240mm equivalent focal length. A sophisticated optical design is employed to maintain a compact, lightweight form factor along with consistent, even illumination and sharpness throughout the zoom range. Benefitting multimedia shooters, an STM stepping AF motor is employed for quick, smooth, and near-silent focusing performance that is especially useful for video applications. 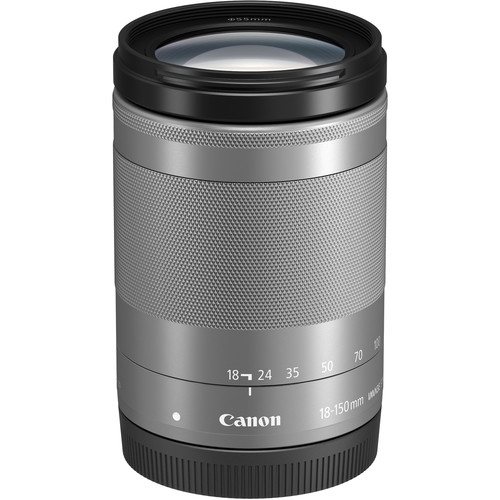 An Image Stabilizer is also featured to reduce the appearance of camera shake by up to four stops for sharper handheld shooting. This also enables Combination IS, when used with the EOS M5 camera, for improved image stabilization while shooting video. A panning feature is also supported with the EOS M5 for more stabilized results when photographing laterally moving subjects. 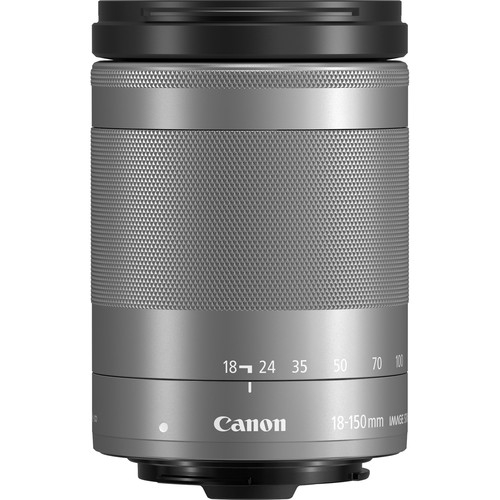 A versatile wide-angle to telephoto zoom, this 18-150mm lens is designed for APS-C-format EF-M-mount mirrorless cameras, and provides a 28.8-240mm equivalent focal length range. Optical design maintains even sharpness and illumination throughout the zoom range. A maximum magnification of 0.31x at the 150mm focal length position benefits working with close-up subjects. An Image Stabilizer minimizes the appearance of camera shake by up to four shutter speed stops for sharper handheld shooting. When used in conjunction with the EOS M5 camera, Combination IS is available for enhanced image stabilization while shooting video, which employs both camera-based IS and lens-based IS for more effective correction. Stabilized panning is also available with the EOS M5, which automatically adjusts the panning speed for more effective subject tracking.